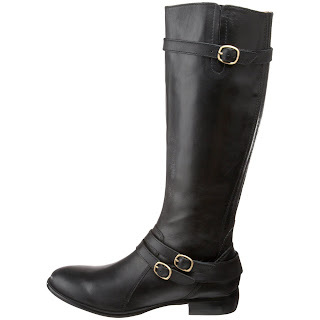 In seeing all the fashion queens work the incredible flat boots all Winter, I just had to find me a pair before the season was over. 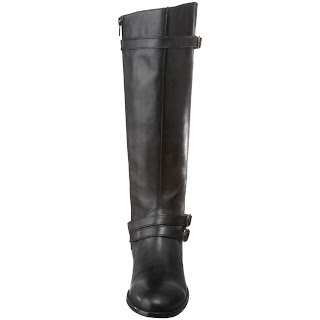 And lucky me, I was able to snag this pair of Corso Como ‘Satchel’ knee high boots from the Daily Candy Swirl sale. As you may remember, I literally fell head over heels for the Corso Como brand in ‘My Farrow Ladies’ post. And I can tell you that these boots left me with the same level of love, just like a teenager’s first crush, hopelessly devoted. 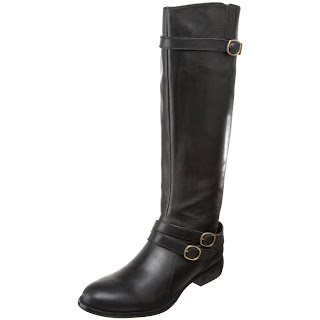 I was nervous that they would be too bulky or too much going on with the two ankle straps and buckles. I was actually worried about a cankle situation. Much to my relief, there was no cankle situation to be had. ;) The boot has a slim design that counters the ankle straps so that there is no unsightly bulkiness in the ankle area. 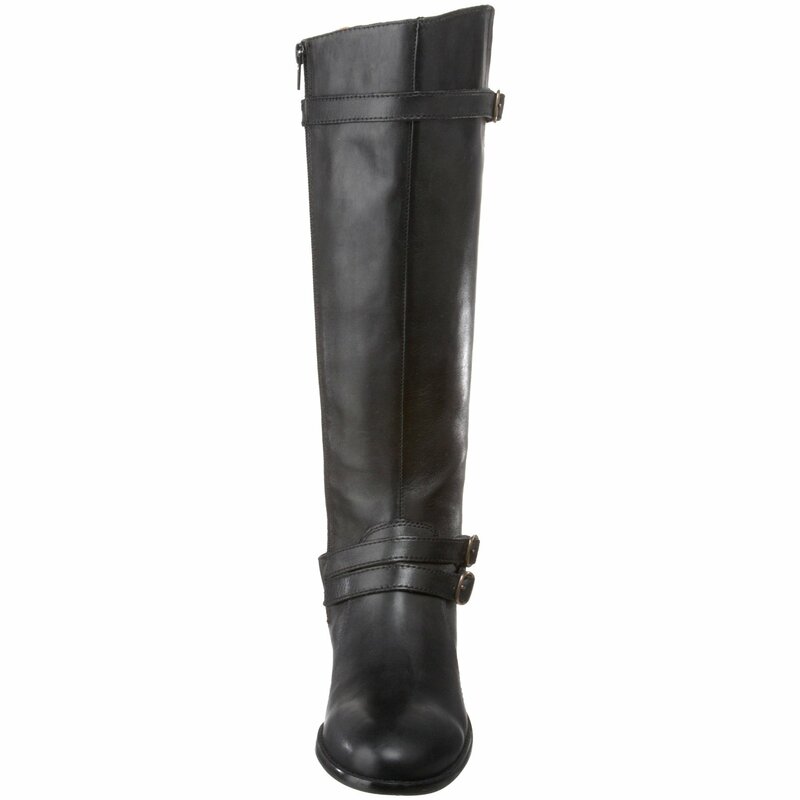 The almond toe also helps keep the boot classic and sophisticated for a great work outfit option. The boot shaft is a very roomy design having a generous 15 ½” circumference and about a 16” leg opening for those of us with more athletic and bigger calves. 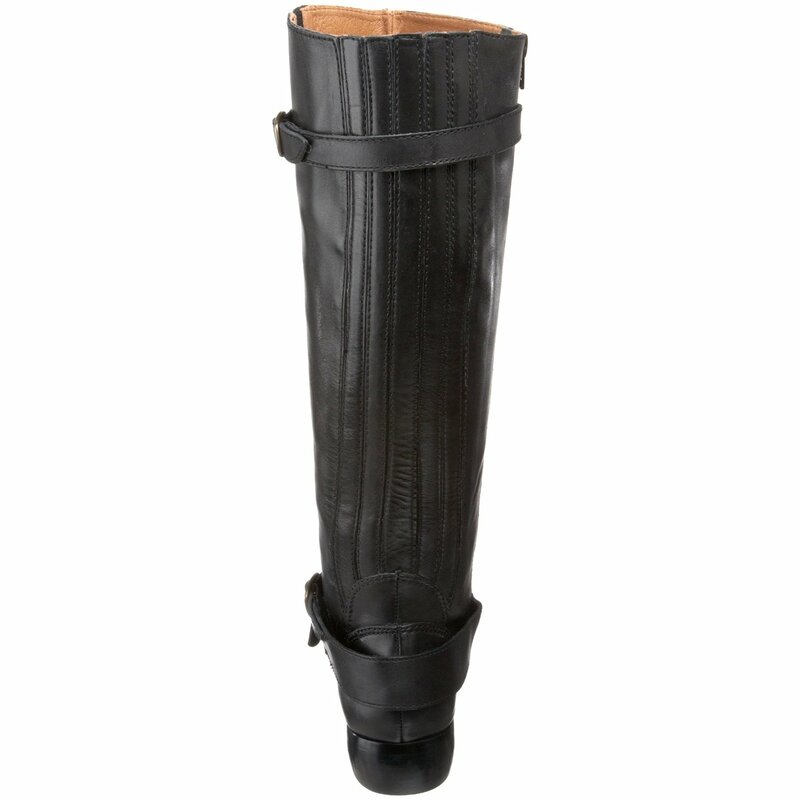 The back side of the boot shaft has vertical strips of leather with elastic insets that allow for accommodating larger calves. 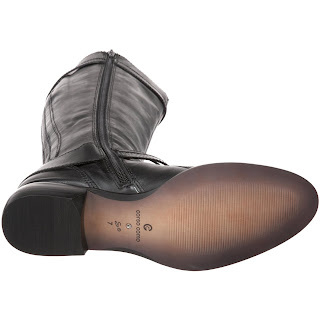 The Corso Como principle is to create high quality, fashion forward shoes with the utmost comfort. They are all made in eco-friendly factories in Brazil using naturally tanned leathers, recyclable boxes and tissue exuding chic consciousness. *swoon* You can find these in black, milk chocolate brown and whiskey brown on 6pm.com, Bloomingdale's, Shoes.com, and Endless.com ranging in price from $120 to about $200. And don't forget the fabulous rhinestoned signature sole.